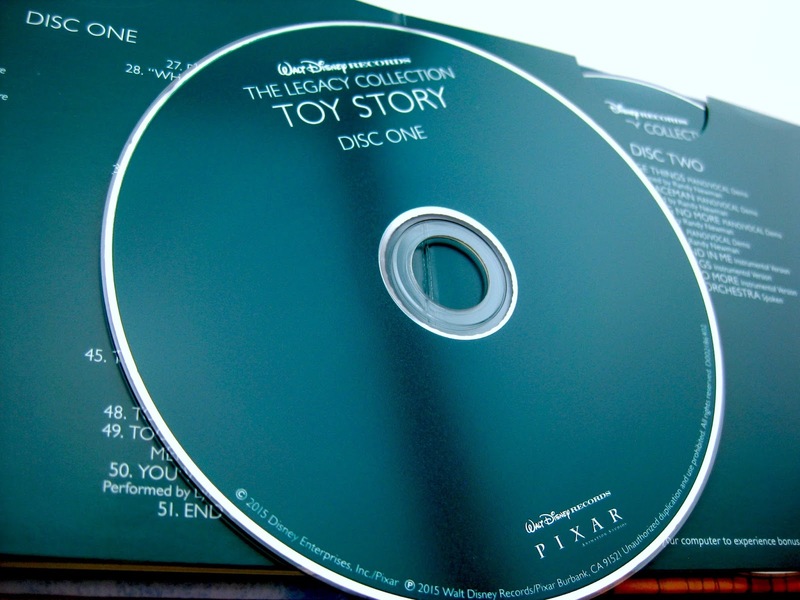 The music that Randy Newman created for the original Toy Story is undoubtedly a work of genius. It set the tone and precedence for, not only Toy Story, but all the Pixar films that would follow. 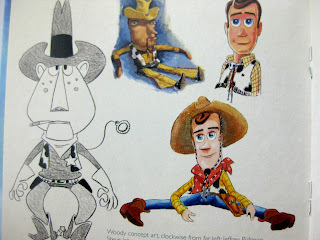 He was able to bring such a unique sound and feel to the film that captured the magic of what was happening visually on screen, while telling the amazing story of Woody and Buzz through beautiful (and memorable) musical themes and lyrical songs. The heart and emotion of Toy Story would not be quite the same without the involvement of Randy Newman. 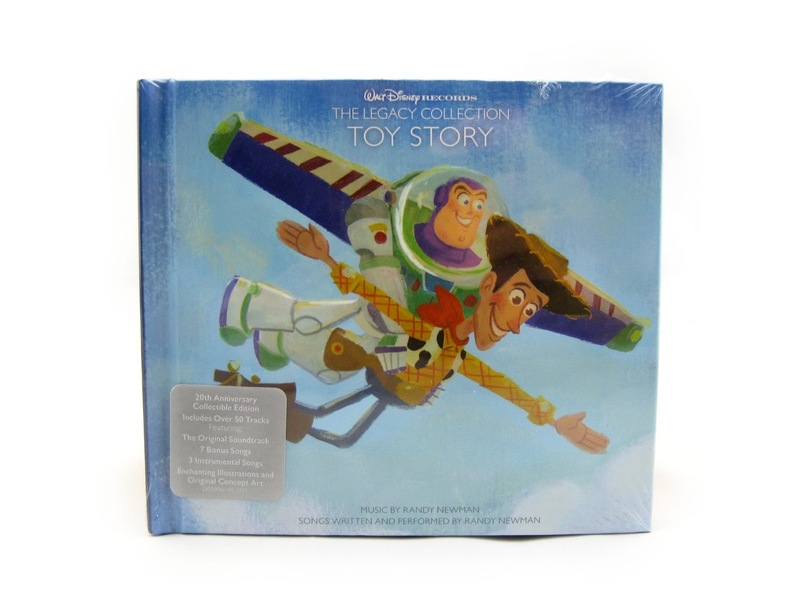 In celebration of this year's 20th anniversary of Toy Story (yes, it's hard to believe it's been that long), Walt Disney Records has released their brand new 2 disc "The Legacy Collection" soundtrack for the film. This is the long awaited "complete score" that fans have been hoping for for years. When any standard soundtrack/score is released, typically that score is not the complete score we hear while watching the movie. It's usually mostly made up of the most memorable musical cues and moments. When a "complete score" like this is released, it includes every piece of music heard in the film from start to finish. Not only that, but this release also has a second disc of bonus content- but more on that later in the post. It's really a remarkable thing to finally have! So what does this "Legacy Collection" CD set include? 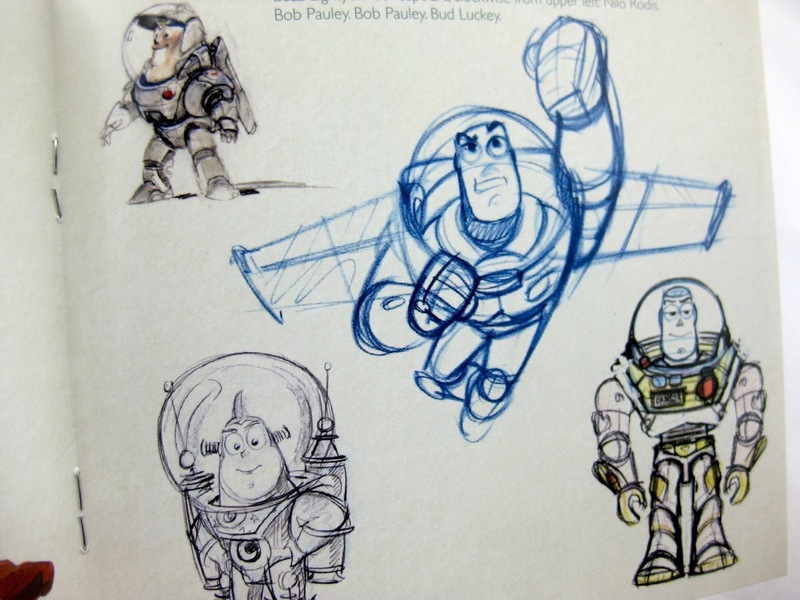 A lot actually- it's a Pixar fan's dream! With that said, lets start digging into this great collector's piece. First all, the front and back cover art. Wow, these simple illustrations are so tastefully done. They're done in a very classy style which I was drawn to (yes pun) as soon as I saw this product listed online. This CD case alone will most definitely be proudly displayed amongst other favorites from my Toy Story collection. On the inside of the case you'll find 24 pages of all sorts of fun material. First there are three pages of liner notes by John Lasseter as he reflects on his experience working with Randy Newman. 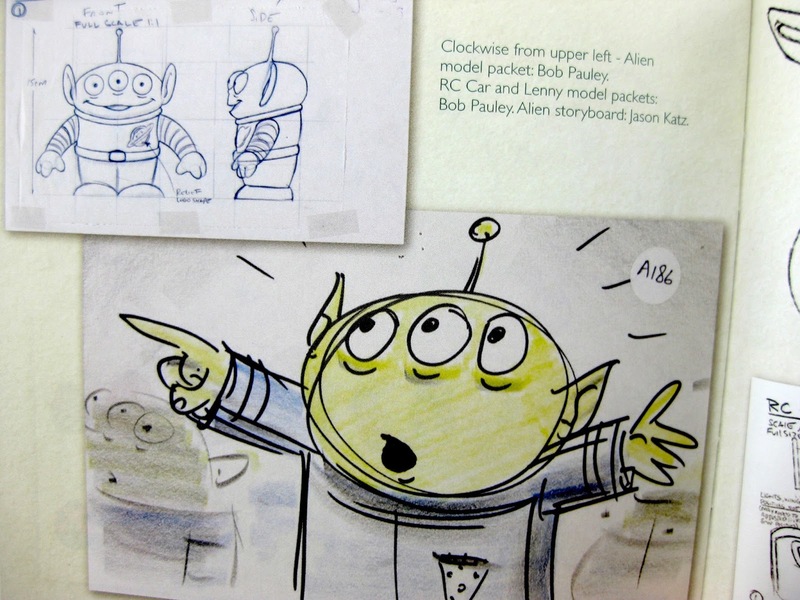 It's a great behind the scenes write-up (dated April 2015). 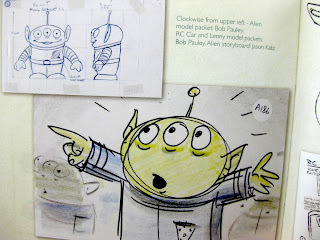 The next three pages are more liner notes; this time from Randy Newman's perspective as he also thoughtfully reflects on his time creating the music for the original Toy Story and working with John Lasseter (dated February 2015). I really love hearing the story behind the music. There are then two pages featuring the lyrics to "You've Got a Friend in Me", "Strange Things" and "I Will Go Sailing No More", followed by orchestra musician credits. All of these pages have adorable little illustrations of the toys scattered throughout (by the same cover art artist Lorelay Bove). Now onto the CDs themselves. Disc 1 (51 songs, 1 Hour 7 Minutes long) is made up of the actual remastered soundtrack from the film. Like I said earlier, what's cool is that there are many moments of the score here that have never been released until now (I don't know which moments though, since I haven't compared this side by side with the original release). On another note, the tracks are also much shorter than on a standard soundtrack release (most of them being under two minutes; many even under one minute). Disc 2 (8 songs, 22 minutes long) includes some really exclusive stuff that I don't think I've personally heard anywhere until this release. The first four tracks are Randy Newman's piano/vocal demos of "Strange Things", "Plastic Spaceman", "I Will Go Sailing No More" and "The Fool". I had never heard of "Plastic Spaceman" or "The Fool" before, so that was a nice surprise for me! Randy Newman, in regards to "Plastic Spaceman" said: "This comes out out of the TV. It's the theme song for Buzz." Listening to the lyrics, it seems like it was an earlier, less memorable take on what ended up being "I Will Go Sailing No More." Really interesting to listen to! The same goes for "The Fool." That one seems like an earlier, less memorable (and less fun) version of "Strange Things." Both songs share of the same basic theme of being replaced and outshined. The second half of Disc 2 features the instrumental versions of "You've Got a Friend in Me", "Strange Things" and "I Will Go Sailing No More." It's really quite cool to hear these songs without the vocals so that you can really hear and appreciate the brilliant orchestra arrangements. When listening to these songs without the lyrics, I was able to notice aspects of those songs I hadn't ever noticed before. The disc concludes with an archive recording of Randy Newman and John Lasseter thanking the orchestra. There you go! I know I say this all the time, but this is an absolute must have for Disney·Pixar fans and collectors. 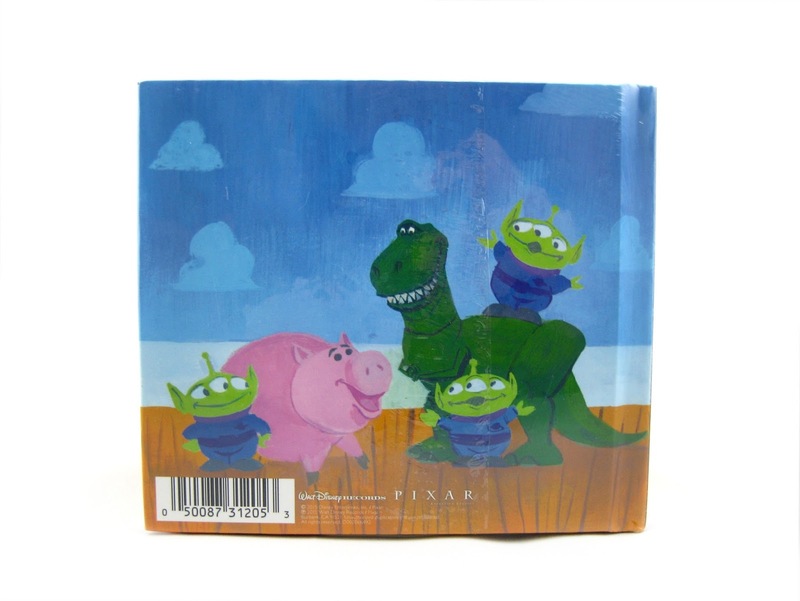 If you love Toy Story, then you will love what this this set has to offer. Be sure to pick it up on Amazon using the direct link below and be sure to check back daily for more from my Pixar collection! Inside Out: "My Busy Books"